Since Vatican II most celebrants—Catholic and Protestant — no longer “turn their back” to the congregation (that is, turn to the east) during the words of institution. This act never had to do with the priest turning away from the people; rather, the point of it was to turn toward Christ’s anticipated Parousia (that is, the rising of the sun). 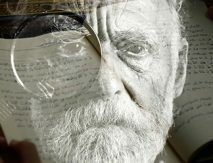 By discarding this liturgical gesture Christians are impoverishing themselves of the “cosmic dimension of the Eucharist.”See Joseph Cardinal Ratzinger, The Feast of Faith (Ignatius Press, 1997), 139–41. The east, as the place where the sun rises, anticipates or figures the return of the Sun of Righteousness (Mal 4:2), Jesus of Nazareth, YHWH’s Messiah. Around this eschatological hope Christians—indeed all of creation (Rom 8:22; Mk 16:15)—should reorient themselves. Only by orienting our lives around Jesus’ life and work are we able to find our way through the dark wilderness. In this way, Christians remind themselves of the reality of Christ’s presence yesterday, today, and forever (Heb 13:8). Similarly, though on a lower level, we’ve already seen that Andy’s toys impoverish themselves of the greater reality of their existence when they forget to orient themselves toward the name on their feet. So then, what does it look like when Andy’s toys correctly orient themselves toward that name? Second, when correctly oriented to the name, Andy’s toys demonstrate the multiplication and magnification of mediation. 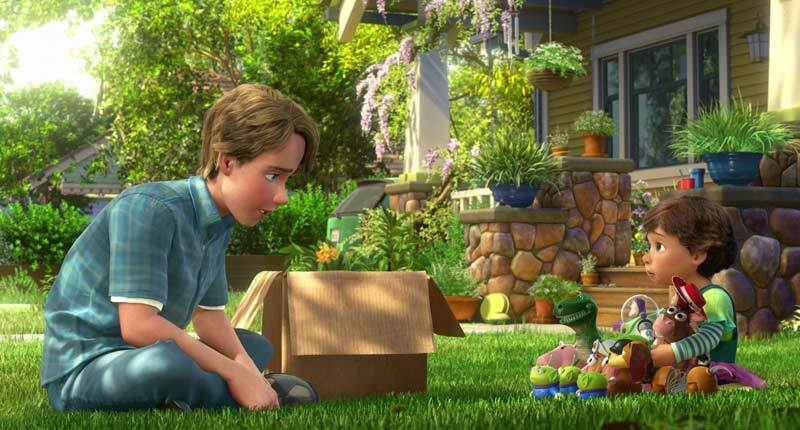 In Toy Story 2, when Woody leaves the room to rescue Wheezy the penguin from the yard sale, other toys mistakenly think Woody is forfeiting his life with Andy. “Woody you’re worth more than that,” Slink says after seeing Woody jump into the box where Wheezy is (it’s labeled “25¢”). But when Woody emerges with Wheezy, the toys realize what he’s doing. “It’s not suicide,” Rex shouts, “It’s a rescue!” But when Woody himself is stolen by a rare toy collector, the toys quickly form a search-and-rescue party. In Toy Story 3 as the toys try to escape the dumpster, Woody turns back to rescue one of the alien squeaky toys who is stuck. When Woody is seized by Lotso and taken into the dumpster, the other toys leap from their safe positions onto the dumpster as it’s being emptied into the dumptruck. Once the toys see themselves and their peers as Andy’s instead of competing with one another, they serve one another. As Donald Fairbairn puts it, “Full people give, empty people take.”Donald Fairbairn, Life in the Trinity: An Introduction to Theology with the Help of the Church Fathers (IVP Academic, 2009), 214. Finally, when the toys correctly orient themselves toward the name, they taste the fullness of who they are and the pending eschatological feast to come when Andy returns. Willing to go to the attic as Andy’s toys, they soon find themselves in a warm and sunny lawn surrounded by a white fence with gates that never shut (Rev 21:25). There Andy introduces each toy individually to Bonnie, their temporary guardian, describing what is special and unique about each particular toy. There in the dappled light Andy and Bonnie play with the toys together, reminding the toys of all those past times with Andy, anticipating the future adventures with Bonnie. 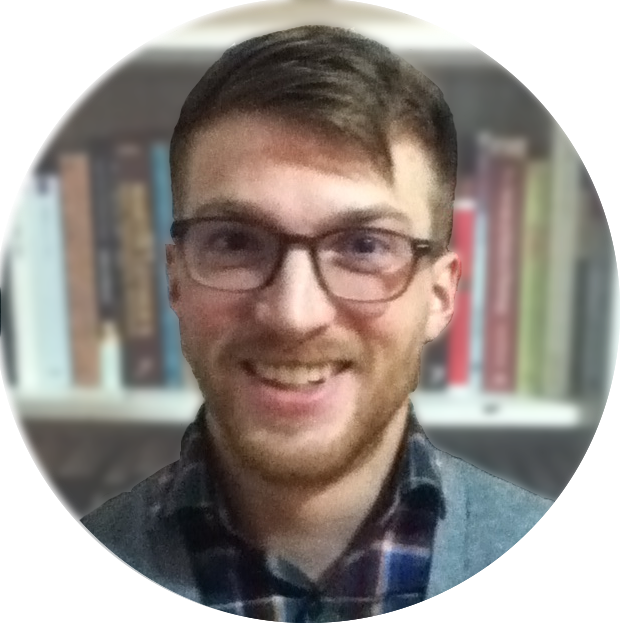 Todd R. Hains is a PhD student in historical theology at Trinity Evangelical Divinity School and assistant project editor of the Reformation Commentary on Scripture (IVP Academic). He and his wife, Veronica, live in Chicago's Humboldt Park along with two large, pathetic and hungry cats.